1. Have a breakfast crepe & a cup of coffee from the crepe truck at Champs de Mars. You'll have a selection of savory or sweet crepe and the crepe's size is large enough to satisfy the heartiest breakfast appetite. Ham & cheese and Nutella & banana crepes work very well with coffee. Sit on one of the benches and absorb the peaceful, quiet, fresh morning air with your breakfast. Don't forget to feed the friendly little birds that came to say 'hi'. 2. Pose with the Eiffel Tower. Try different locations and angles, including the one by the River Seine. It is a spectacular view. 3. Visit the Wall for Peace and the Military Academy. The Wall for Peace - 54 x 45 x 30 feet - has the word 'peace' inscribed in 32 different languages and 12 alphabets on its gleaming metal and glass planes. This humble, yet striking, structure was built to celebrate Paris' millennium celebration and continuously attract streams of camera-carrying tourists. Ironically, the Military Academy, where Napoleon graduated from, is directly across for this wall. The Ecole Militaire was built by Louis XV in 1750 with the goal of providing an academic institution for cadets from poor families. 4. Walk up and down Champs-Elysees. Before the rows of shops selling everything from high-end cloting to mussels and fries, there are scenic little gardens with fountains and flower beds. 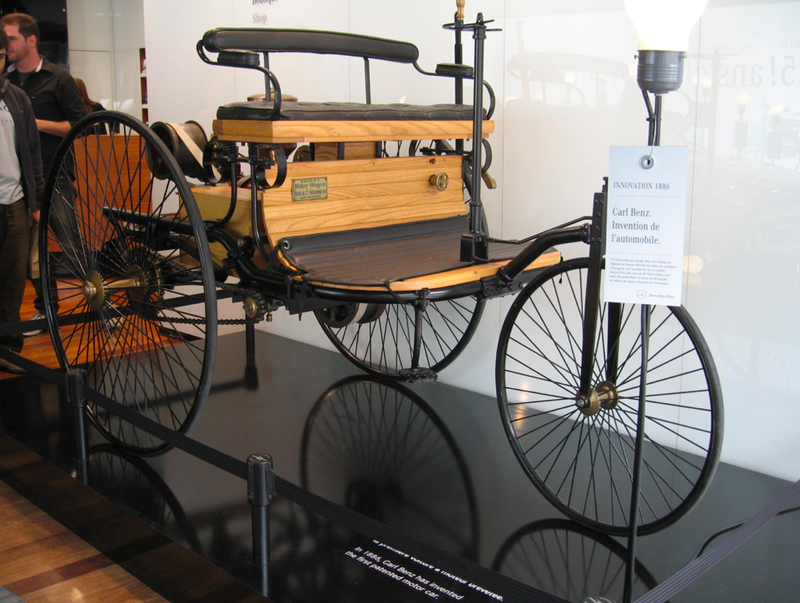 Don't forget to stop by the Mercedes Benz showroom to get a sneak peek of the latest high-tech cars on display. Also, buy yourself a tiny, colorful wall clock accessory or a mini Eiffel Tower figure to remember the day. 5. Pose in front of Arc de Triomphe. One of the most famous Parisian monuments, it honors the soldiers who fought and passed away during the French Revolutionary and Napoleonic Wars. Located on the right bank of the River Seine, the Arc was commissioned by Napoleon at the peak of his fortunes and took 30 years to construct. 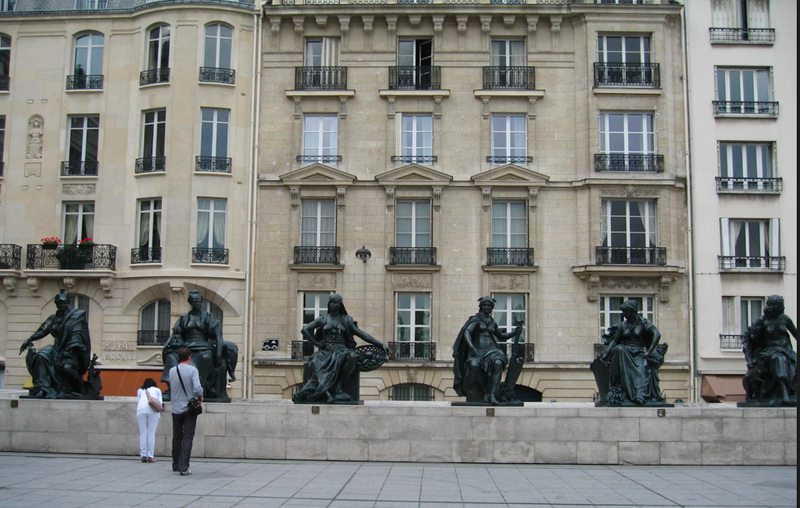 The Arc's Neoclassical Roman architecture style is further reflected on the 4 sculptures on its pillars that depict French's oscillation between war and peace. Make sure to take pictures of the Eiffel Tower and Sacre Coeur on the observation deck. 6. Have a meal at a French tavern. 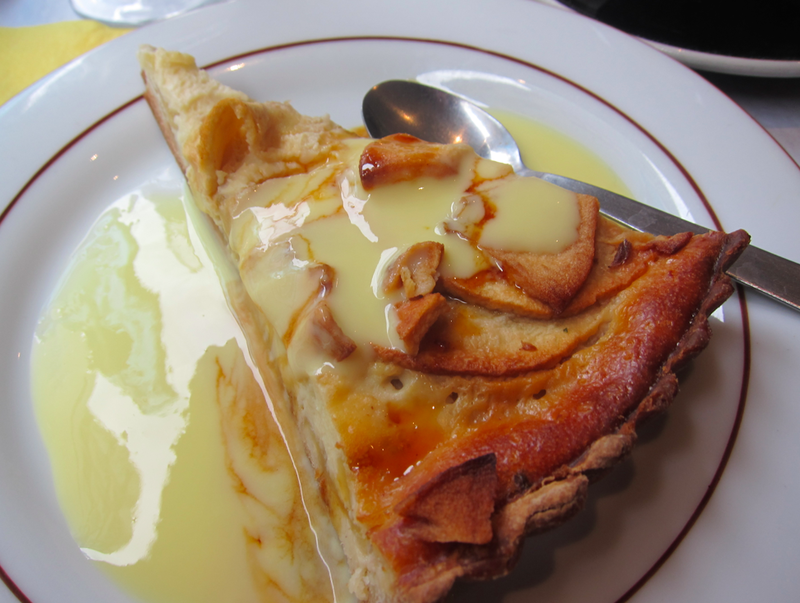 La Taverne du Sergent Recruteur on Ile St. Louis serves tasty, rustic French comfort food. Make sure to get one of their many delicious duck dishes and a taste of their cheese plate. After the meal, walk down Ile St. Louis' rows of shops, pick up some cheeses and pates to enjoy or bring home, and stop by one of the jewelry stores like Galerie Felix Haloux for inexpensive, one-of-a-kind, fashionable Coeur de Lion jewelries. 7. Pose with & go inside the Notre Dame Cathedral. It is easy to see why Victor Hugo chose this cathedral as a backdrop for his novel Hunchback of Notre Dame (also a Disney's movie). Even from afar, the scale and ornateness of this cathedral are impressive to see. The flying buttresses, the west towers, the rose window, the stained glass windows explain why this cathedral is widely considered as one of the finest French Gothic architecture. Carved all over the cathedral exterior walls are (almost) life-size statues of angels, saints, kings, and queens. Inside, precious chandeliers adorned the high ceilings and golden chalices & other objects for worships adorn the interior walls. It is not hard to accept the acclaim that Notre Dame is among the largest and most well-known churches worldwide. Before you visit, check out when the organ will be played or when the bells will be rang - it is a unique experience to hear them. Also, don't forget to spot the gargoyles! 8. Sit for a sketch at Montmartre & view Paris from Sacre Coeur Basilica's terrace. Montmartre is probably the most colorful place in Paris. 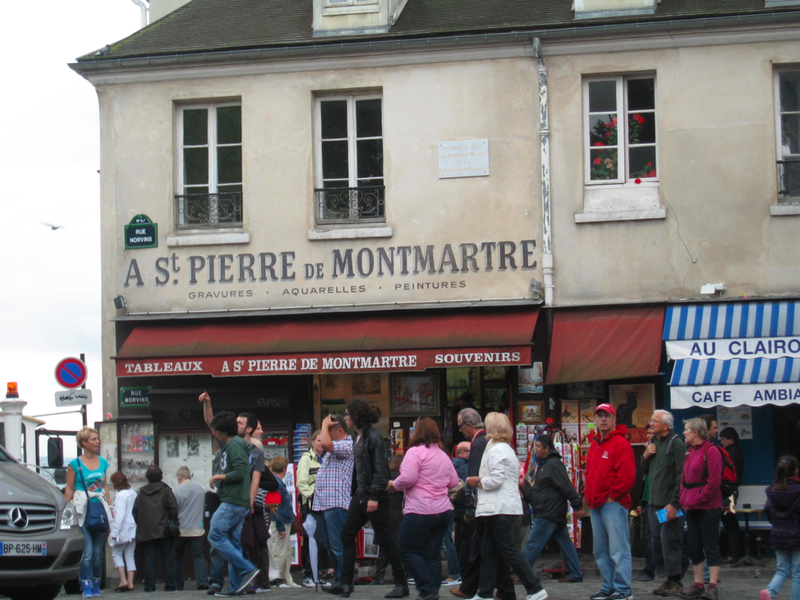 Hundreds of artists from all styles congregate at Montmartre. Buy a print of Paris, or splurge on a sketch of yourself for about 50 euros (remember to pick an artist whose style you like, allocate roughly an hour for the activity, and confirm pricing before the session). When you're finished, there are plenty cafes or snack shops selling macaroons nearby. After that break, hike up to Sacre Coeur less than 5 walking minutes away. Take some pictures of and with this white church. Don't forget to admire the view of Paris' skyline from it's terrace. 9. Spend a day at the Louvre. The Louvre is one of the world's largest museums and a historic monument. A central Parisian landmark on the right bank of the River Seine, the Louvre is the world's most visited museum. A few highlights include the Monalisa, the Wings of Victory, Venus de Milo, the French Crown Jewels, the Code of Hammurabi, the Egyptian collection, the glass pyramid of I.M.Pei, and many more priceless artifacts. 10. Immerse yourself in the Impressionist & Post-Impressionist art heaven that is Musee D'Orsay. Be that Monet, Manet, Degas, Renoir, Cezanne, Seurat, Sisley, Gauguin, or Van Gogh that strike you fancy, Musee D'Orsay has them all. Paintings, sculptures, furniture, and photography are the main mediums of artistic expressions here. Next to the building is a display of larger-than-life six bronze sculptures that symbolize the six Earth continents. 11. Enjoy a day at Versailles. Versailles, roughly 12 miles southwest from Paris, can be reached via a train / car ride. It is the royal chateau built by Louis XIV (the Sun King) to be the seat of the Bourbon dynasty's government. It is the symbol of absolute monarchy of the French Ancient Regime. The main palace building is filled with paintings of royal family members, furnitures, and statues. The high ceilings are adorned with beautiful crystal chandeliers. The most impressive room in the building is the Hall of Mirrors - built in 1690 and the location of many French Court's ceremonies. The grounds of Versailles has been lauded as one of the finest examples of French garden design, known for its meticulous manicured geometric lawns, parterres of flowers, sculptures, and fountains. Wear comfortable walking shoes when you visit since the estate is HUGE. 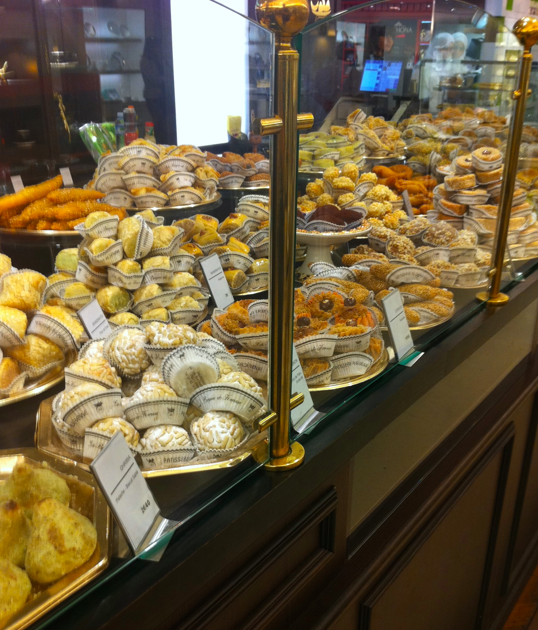 Make sure to take a break with some fine French pastries at Angelina while you're in the main palace. Lastly, take a few minutes to visit Petit Trianon, Marie Antoinette's little country chateau that is only a few minutes away from the main building. 12. Dine at Au Pied de Cochon. 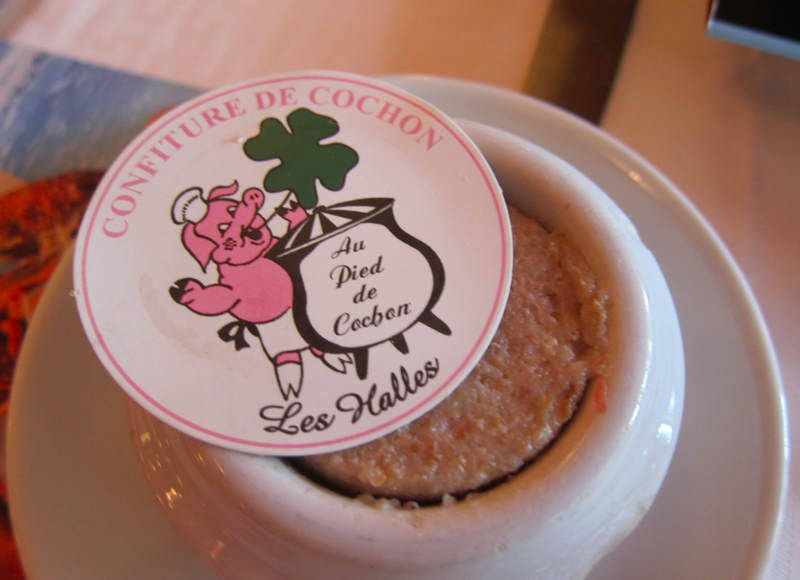 Au Pied de Cochon is an institution - a Parisian historical landmark and the beating heart of the city. Opened since 1947, this Les Halles restaurant has never close its doors and has been a popular hang out to celebrities, politicians, and sportsmen and women. Alfred Hitchcock, Jacques Chirac, and Francois Mitterand are amongst the restaurant's patrons. So, put on your nice clothes and head on to this memorable dining establishment. Try the pork pate, the seafood appetizer platter, the duck and beef fillet dishes, and many more. Enjoy the opulent atmosphere too - a Paris visit is not the same without a meal at the Au Pied de Cochon. 13. 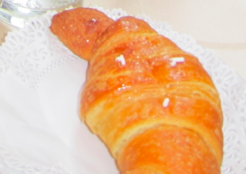 Have a taste of Beef Bourguignon and one (or all three) of the following: Apple Pie, Chocolate Eclair, and Croissant. The Beef Bourguignon is a classic standard in French cooking. First described by the cooking grandmaster Auguste Escoffier, the dish came from Burgundy, France. The dish is simply beef braised in red wine and bacon with mushroom and pearl onions added in the end of cooking. Julia Child called the dish "one of the most delicious beef dishes concocted by man." As for the baked goods - the apple pie, the chocolate eclair, and the croissant have all been used as standards to benchmark French-style patissiers. As French patisseries are on the top of the baking world, don't leave the city without tasting these items from one (or many) of Paris' fine shops.